Unreal Lawns supply and install artificial grass in Chorley and the north west of England. We serve domestic and commercial customers in the area, with products suitable for a wide range of applications from outdoor spaces and gardens, to event areas, exhibition space and more. See below for some examples of projects we've carried out in the Chorley area. Unreal Lawns were contacted by a child minder in Chorley to install our artificial grass. 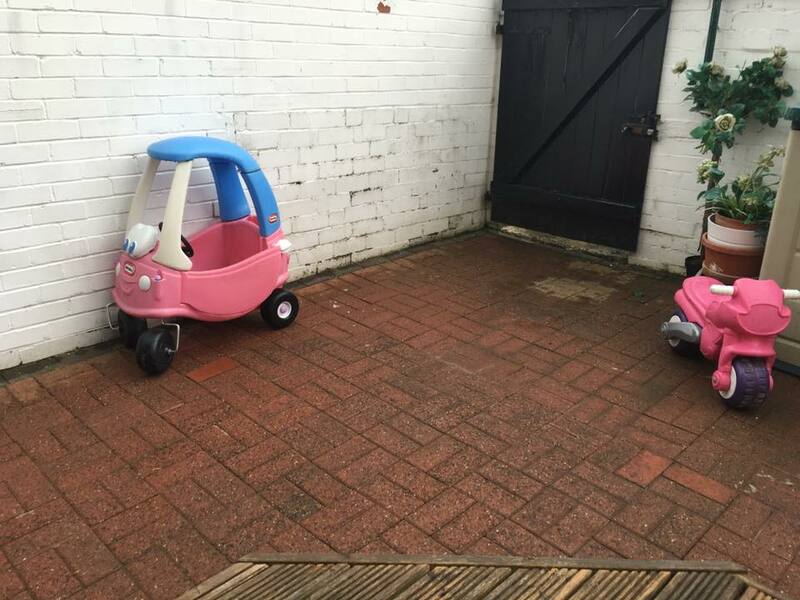 The customer required an outdoor space that was child-friendly and easy to maintain. We fitted our top of the range Supreme 38mm artificial grass in the garden. The lawn looks great when contrasting with the pave stones, and the space is safe for the children to play in. The customer and children are delighted with the new outdoor play area. 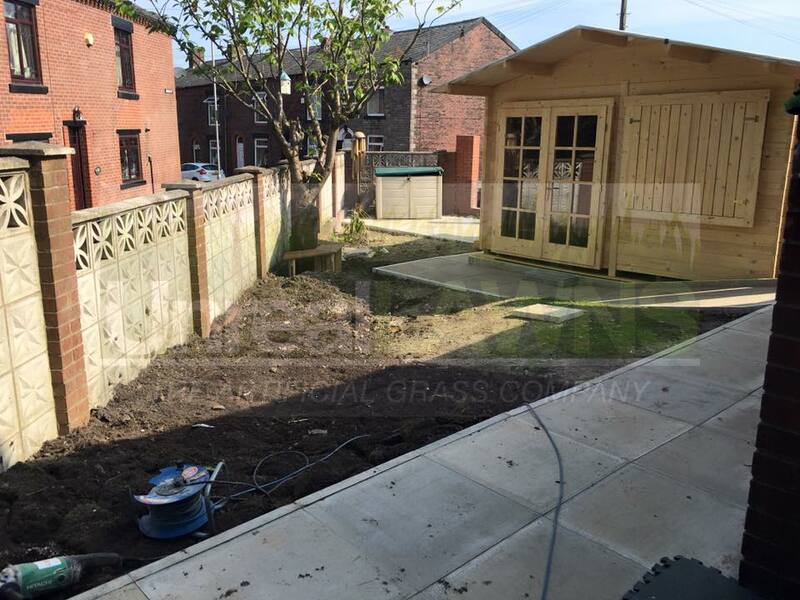 We visited this little rear yard in Chorley to transform the space into a garden with a lawn. Because the space is small, the customer wanted something that they wouldn’t need to maintain, and so opted for artificial grass. We installed our Supreme 38mm artificial grass in the yard. The transformation provides a much safer and more pleasant area for the children to play. 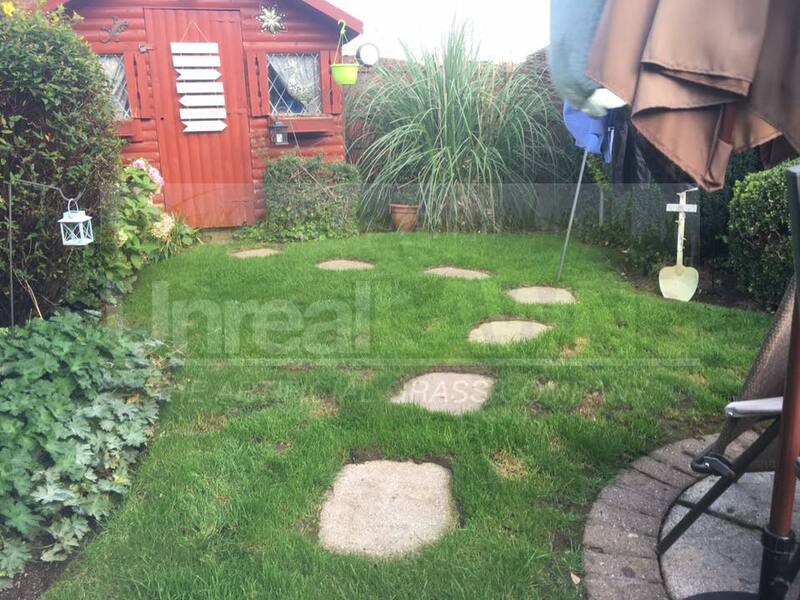 Unreal Lawns were approached by a homeowner in Chorley who wanted to replace their lawn with artificial grass for a low maintenance garden. The garden was a lovely little space, but the lawn was becoming a bit patchy and the customer no longer wanted to have to worry about the maintenance involved. We installed our Supreme 38mm artificial grass along with contrasting red block edging. The finished work looks neat and tidy and the existing stepping stones look great cut into the lawn. The customer was over the moon with their new artificial lawn.